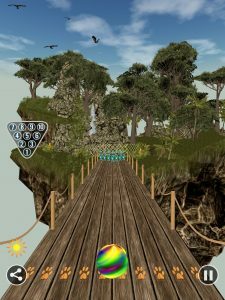 Bowling Paradise 2 Pro, developed by Innolab Pty Ltd promises to be a bowling game the likes of which you’ve never seen before, promising spectacular graphics as well as fun and challenging gameplay. It unfortunately fails to deliver on either of these promises. 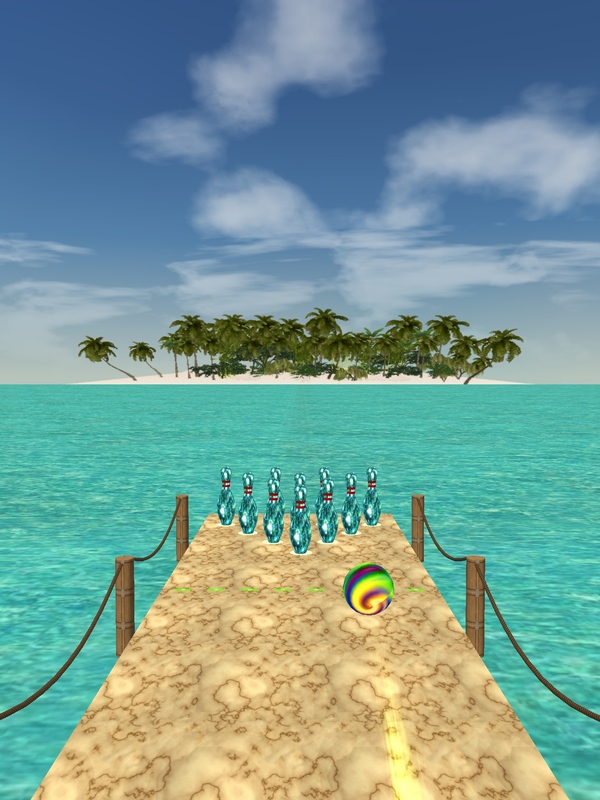 The most obvious problem plaguing Bowling Paradise 2 Pro is its lacklustre presentation. The menus are bland, the 3d models are of low quality and the texture work screams of games from a bygone era. The game is unappealing to look in the most basic sense, looking artistically and technically unappealing at its best, and unfinished at its worst. This is exacerbated by the game’s poor performance even on the highest end iOS devices. The framerate doesn’t drop, but it is permanently locked far under even a basic 30. This leaves the game feeling choppy and slow, and especially hurts the responsiveness of the controls. 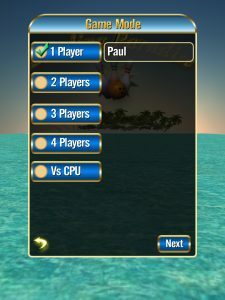 The content available here is basic, offering players single player as well pass-the-device multiplayer bowling over various themed lanes. 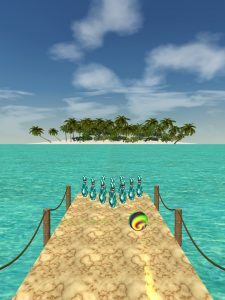 Most of these environments are regular bowling lanes with themed backdrops, but a few of them offer slightly different gameplay, requiring player to throw the bowling ball over a pit rather than roll it. There isn’t a lot of content, but it’s nice that some semblance of variety was attempted. 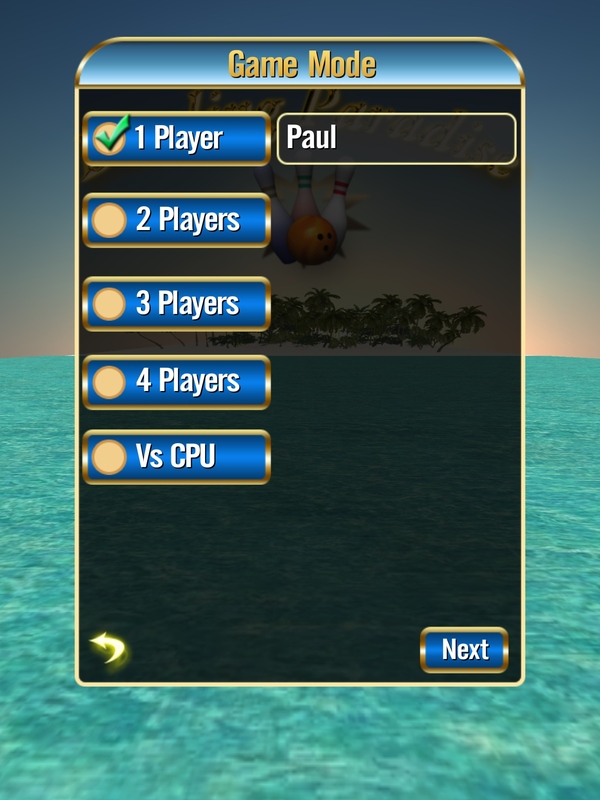 Unfortunately the amount of content doesn’t really matter, since Bowling Paradise 2 Pro is mechanically broken. The bowling is incredibly easy to the point of gameplay being irrelevant. On my very first time opening the application I rolled an entire game of strikes, this was before even reading the tutorial and learning how to add spin to the ball. Perhaps due to the unresponsive controls, the game seems to give players the benefit of the doubt, and provided they don’t obviously aim off the side of the lane, it’s very difficult for the game not to register your input as a strike. 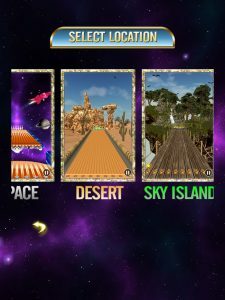 This invalidates any sort of skill progression or meaningful gameplay experience, meaning Bowling Paradise 2 Pro stops being enjoyable very quickly. There are good bowling games on the app store and there are some that are not so good. Bowling Paradise 2 Pro falls squarely in the latter category, and should definitely be avoided. 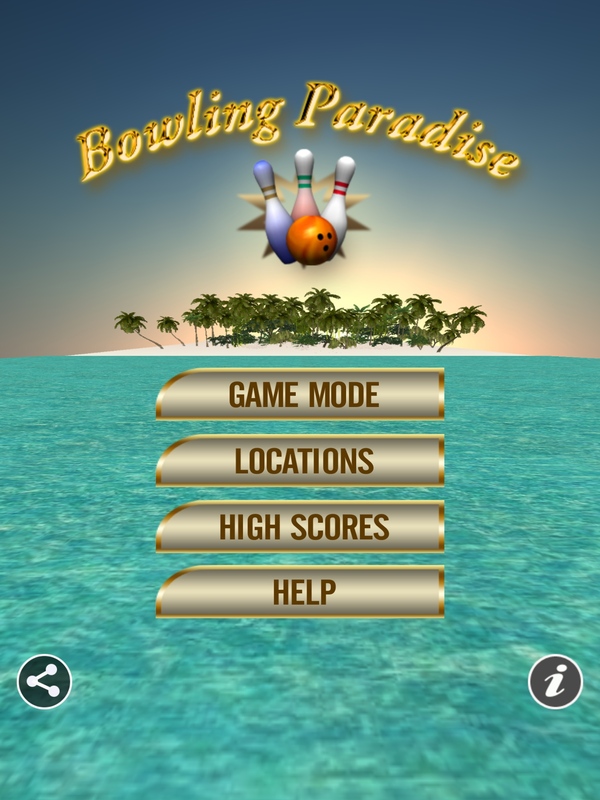 Bowling Paradise 2 Pro requires iOS 6.0 or later. Compatible with iPhone, iPad, and iPod touch. This app is optimized for iPhone 5. Follow Tapscape for the latest iPhone app reviews.